Freshly grown basil is a heavenly thing. Just pull it close to your nose and smell that freshness. It's a very versatile herb. It's most common use is in Italian dishes. It's great in pasta and even in drinks. Here I've made it into a wonderful pesto. 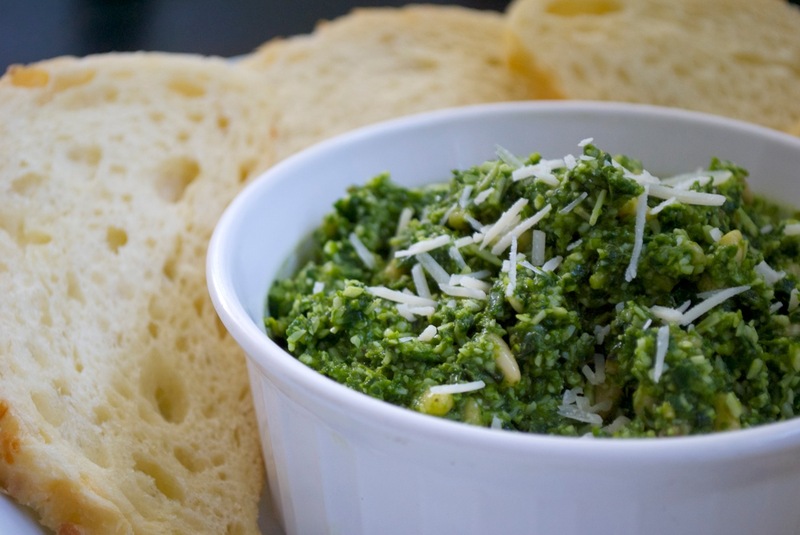 Pesto is yummy, but what do you do with that big bowlful? One of the great things about pesto is that it freezes well. Put the basil into ice cube trays and then just add it to your hot dishes or defrost for use on sandwiches and in dips. Here are some more ideas for fresh basil. 3/4 cups Parmesan cheese Fresh is always best! Place everything but the olive oil and pine nuts in a food processor. I just used my blender. Pulse the mixture and stir until everything is processed. While the blender is running, slowly pour in the olive oil. You can leave it thick, or add more oil until the pesto is thin. 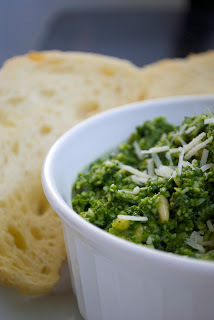 Remove the pesto to a bowl. Put the pine nuts in the processor, and give it a quick chop. Stir by hand into the pesto. I do the nuts separately to get some crunch in my pesto. Eat the pesto right away or store in the fridge or freezer. 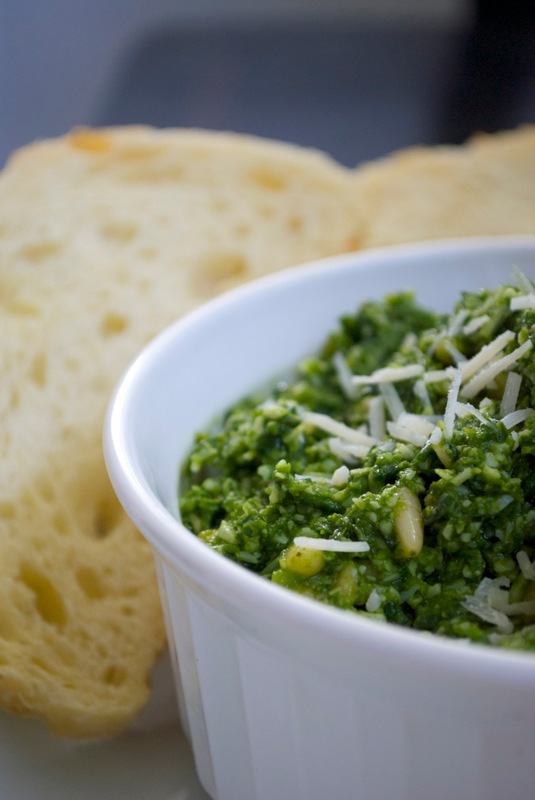 Love Love Love Pesto. It's my favorite part of summer.